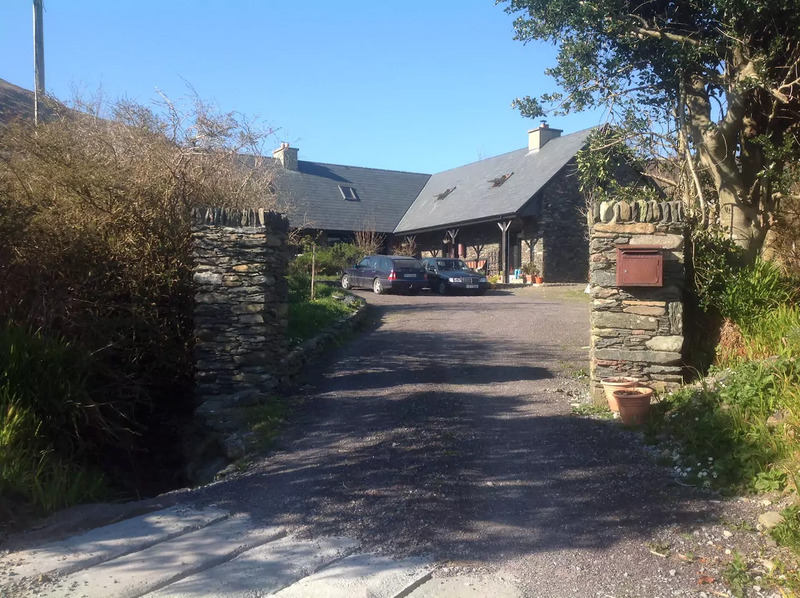 A delightful renovated famine cottage nestled in magical Coumdubh Valley on the world famous Dingle peninsula is a quiet retreat in a hill walkers paradise. Exquisitely endearing and ultra comfortable, decorated to a very high standard with personality & flair ,3kms from Anascaul Village. Its a place of charm, intrigue & calm. Step out your door walk past the lake & revel in the rugged hill walks that beckon the spirit upwards. The cottage is a very very special place with the mountain stream trickling down beside you. Watched over by the old fairy tree, you can sit there evenings or mornings and let this place enfold you in peace and calm.Guests have their own entire cottage living quarters right next door to us. This was the original cottage and is magical. We are available if ye need us at any point , but only if needed. We are sociable but astute people. Privacy is guaranteed if required .Other things to note.This cottage has been renovated to the highest spec. Divine comfortable beds & pillows and quilts – one superking , one king size .White cotton bed linen. Tetrad couches, well appointed kitchen. Interesting features throughout. Private. Though we are next door to you I work daily in Dingle and John if around will be out in his garden behind our side of the house. Very special feel here . This is not a place to crash on a whistle stop tour of the Dingle Peninsula – you have to linger & explore the valley and hills just behind the cottage.We can reasonably offer fresh laid eggs daily, fresh salad leaves and tomatoes when in season, and other veg grown in our garden here, Wood for the fire …… Cats to enjoy. Nell’s House is situated in the quaint , historical village of Annascaul, birth place of the Famous Tom Crean. It comprises of 5 bedrooms, 4 bathrooms. Oil fired central heating and stunning fireplace. Fully equipped kitchen with microwave, electric oven and dishwasher. Washing machine and tumble dryer. 2 luxurious and spacious living rooms with multi channel T.V. video, DVD and audio system. Large garden with wooden deck, barbeque and ample car parking. Linen supplied, cot, highchair and stair gate. A library of books and music provided. Spacious one bedroom cottage one double and one single bed, open plan living room and kitchen, bathroom All mod Cons. Oil fired central heating. Electricity meter installed.